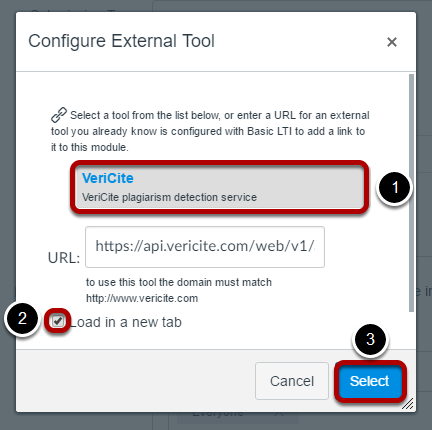 The admin features of VeriCite are available via the admin tab in the VeriCite LTI tool. This tab provides access to system-wide administrative reports and statistics and is visible to any user with admin rights in the LMS. 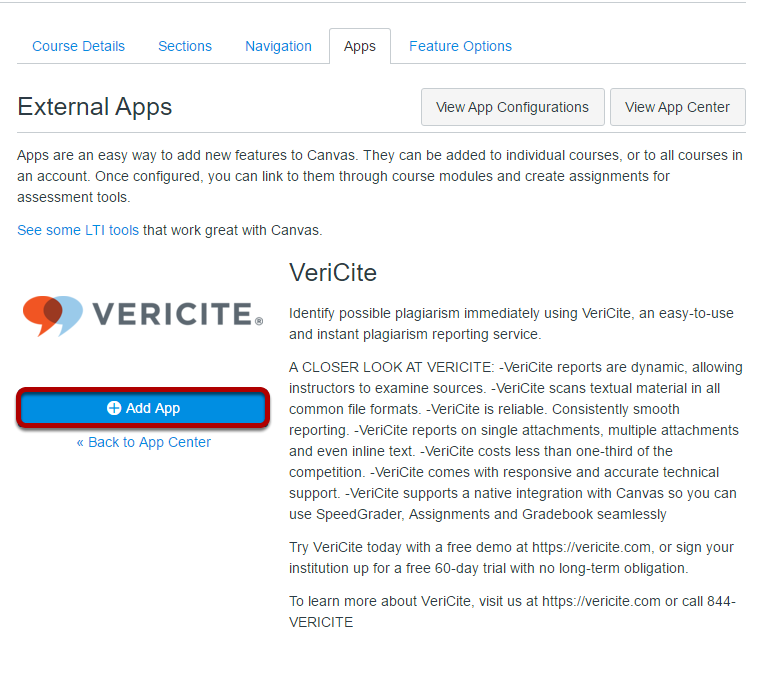 In order to access the admin tab, you will need to add the VeriCite LTI tool and at least one VeriCite assignment to a course. It is not necessary to publish the assignment or to have students enrolled in the course where the LTI tool is located. Adding the LTI tool to a Canvas course. Adding a VeriCite LTI assignment. Now, go to Assignments and click + Assignment. Zoom: Now, go to Assignments and click + Assignment. Since students will not be accessing this assignment, the title, description, and point value can be anything you choose. 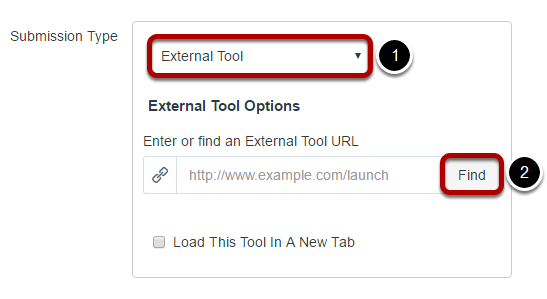 For the Submission Type, select External Tool and then click Find. 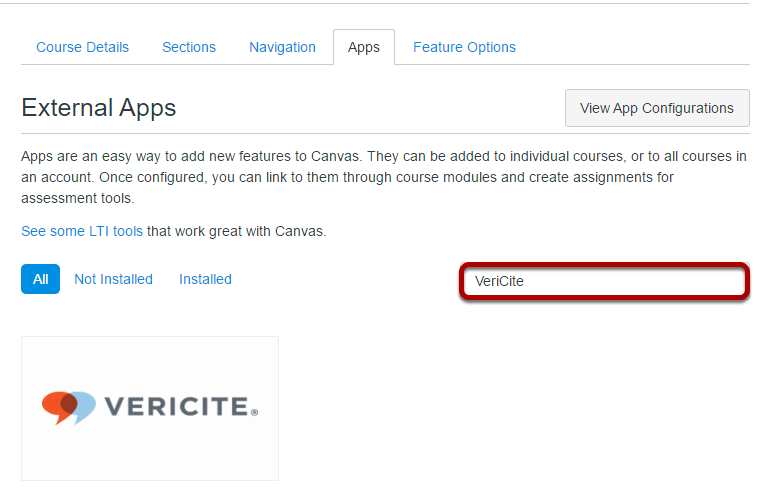 Click on VeriCite in the list of available tools. 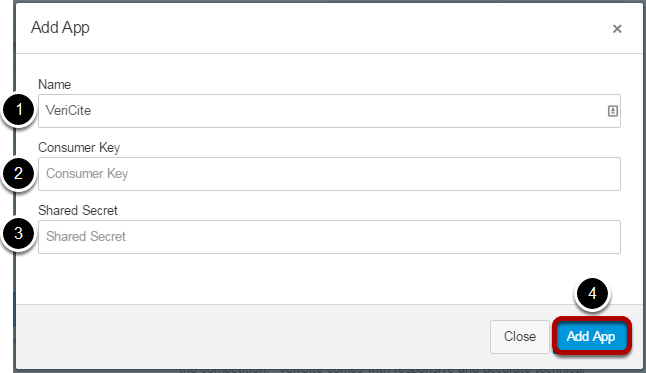 Check the box for Load in a new tab. Click Save to save your assignment. Note: The assignment does not need to be published in order to access admin features. 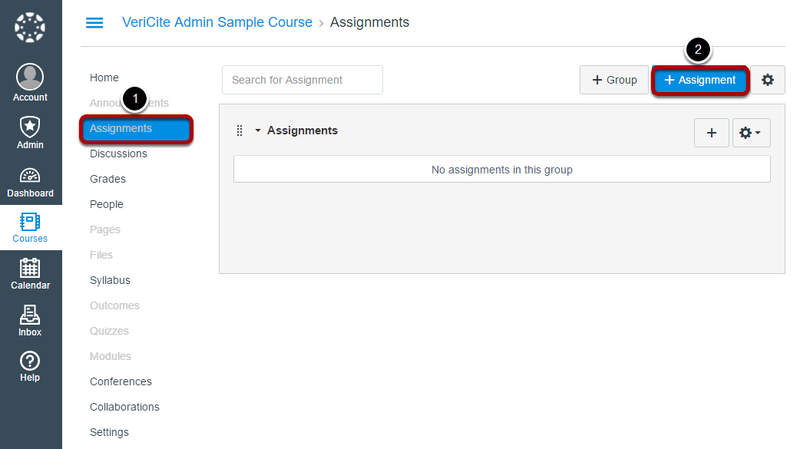 Click on the Load the assignment in a new window button. 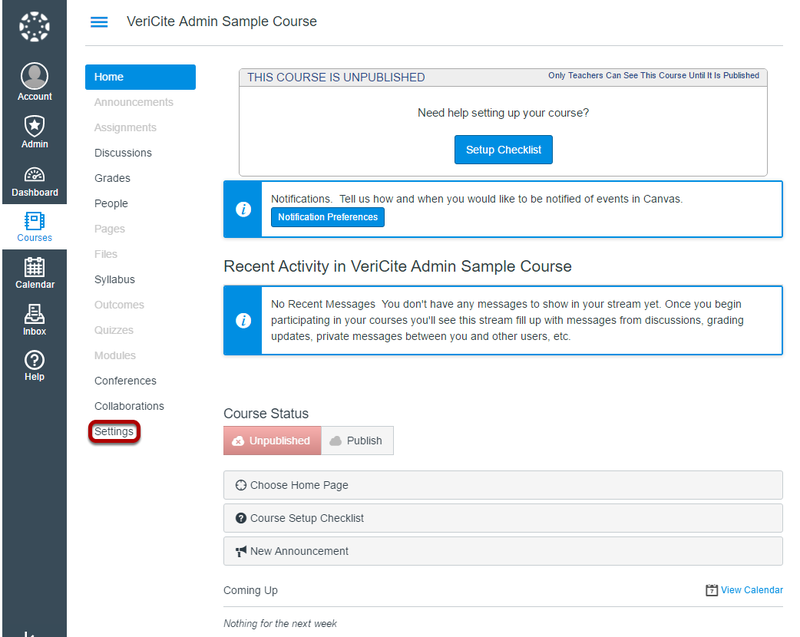 Click on the Admin tab in VeriCite to access the admin features. 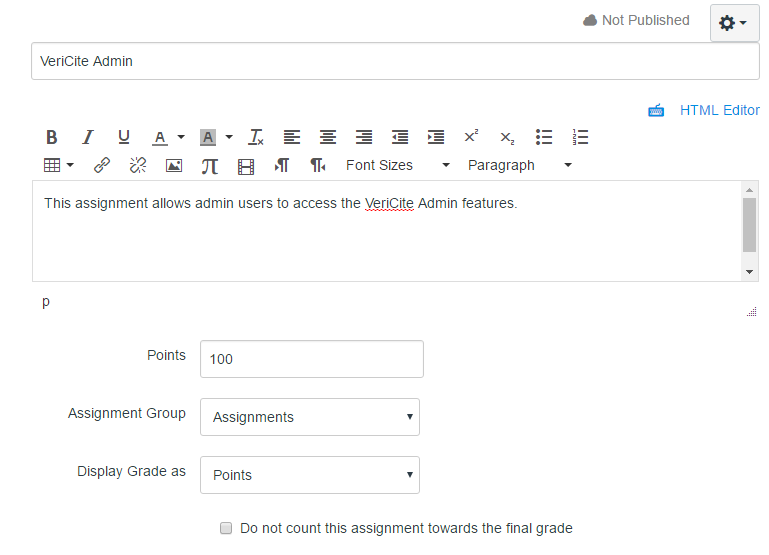 Zoom: Click on the Admin tab in VeriCite to access the admin features. 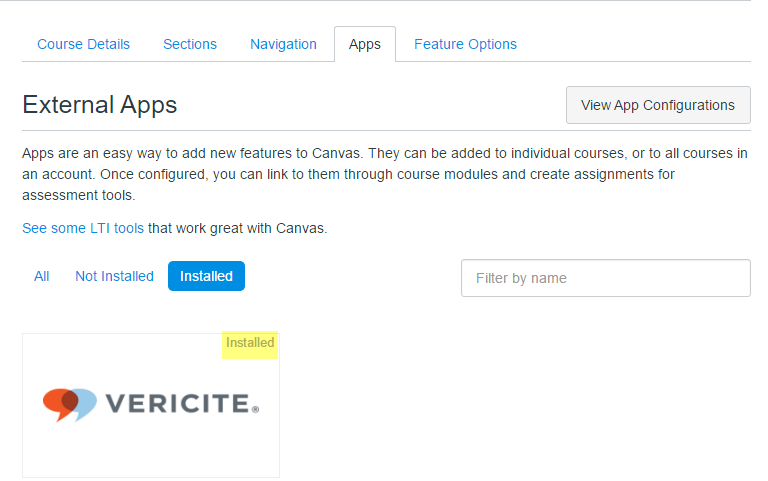 Next: How do I grant VeriCite Admin permissions but not Canvas Account Admin permissions to a user?